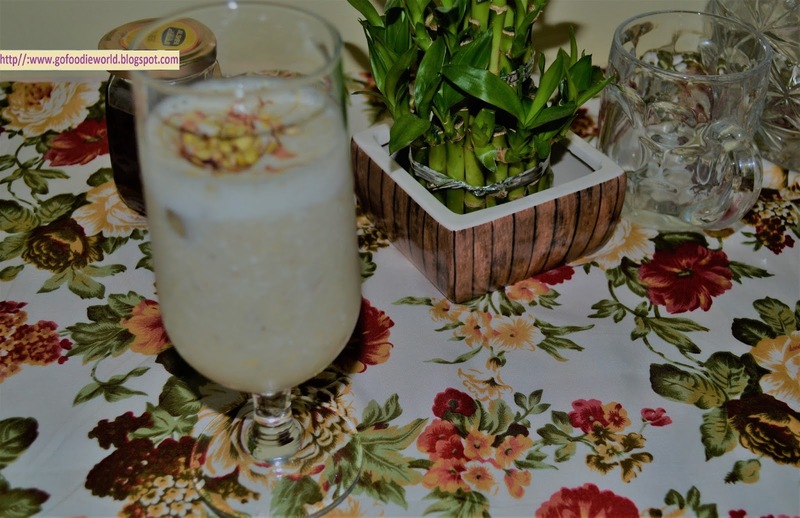 To beat the heat, treat yourself with banana milk shake with the simple and almost readily available ingredients at home. With this fruit rich in vitamins and moderate dietary fiber bring the most relishable drink on table. Without saying much about it let’s get to the recipe and I'm glad I complete my 100th recipe with this, cheers to that! Whiz everything together in a blender except nuts and pour into glass.